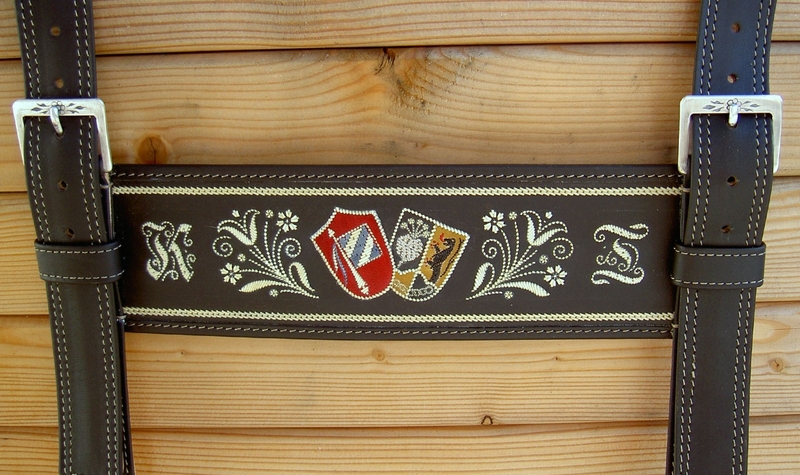 We are happy to individually cater to Coat of arms or other requests. 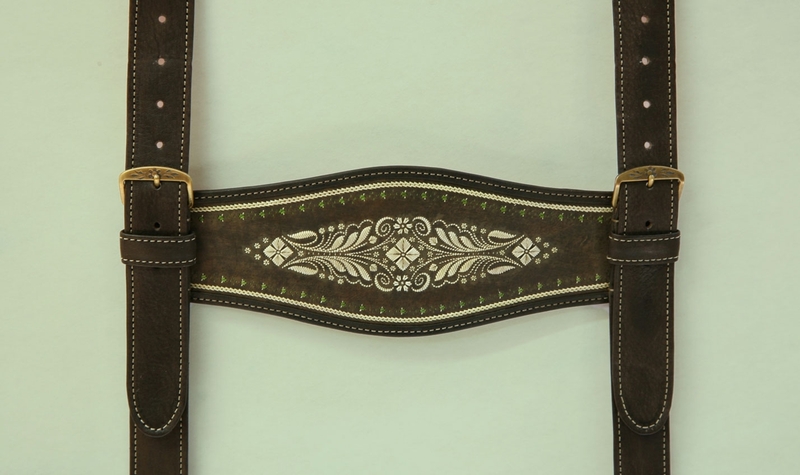 The braces can be colour coordinated with the leather pants. 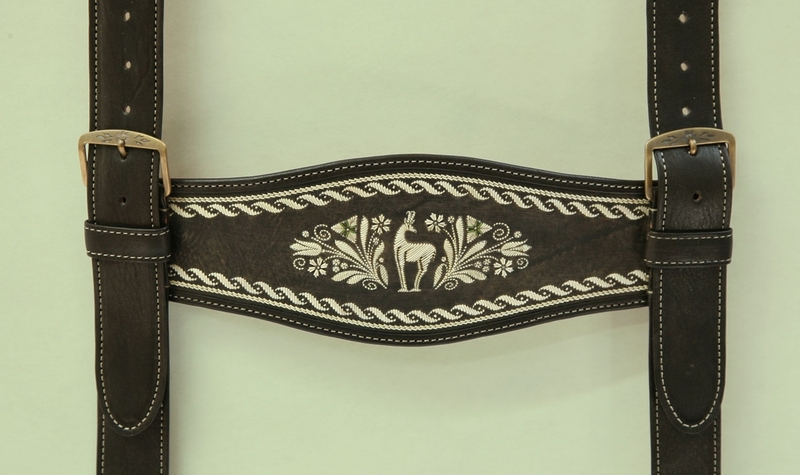 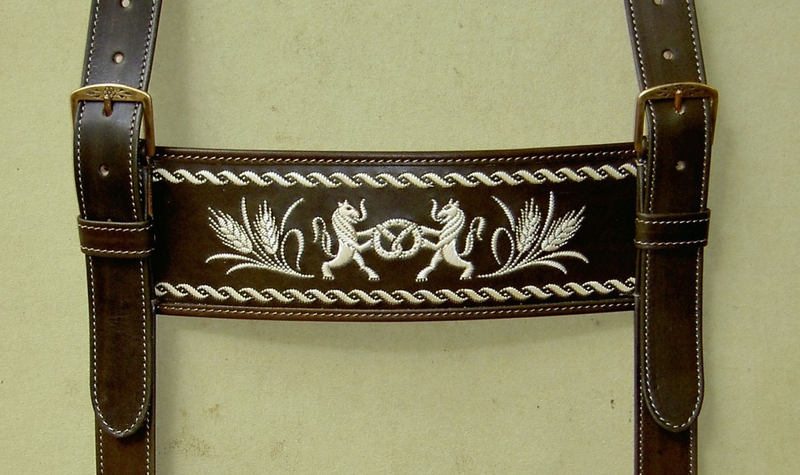 The buckles are handmade. 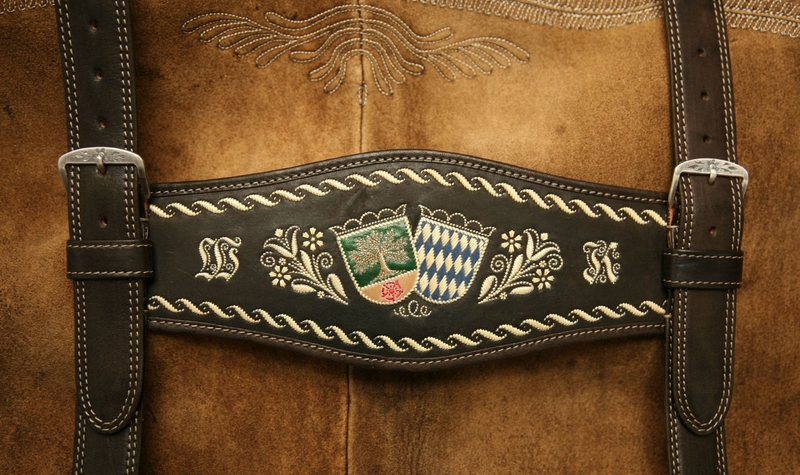 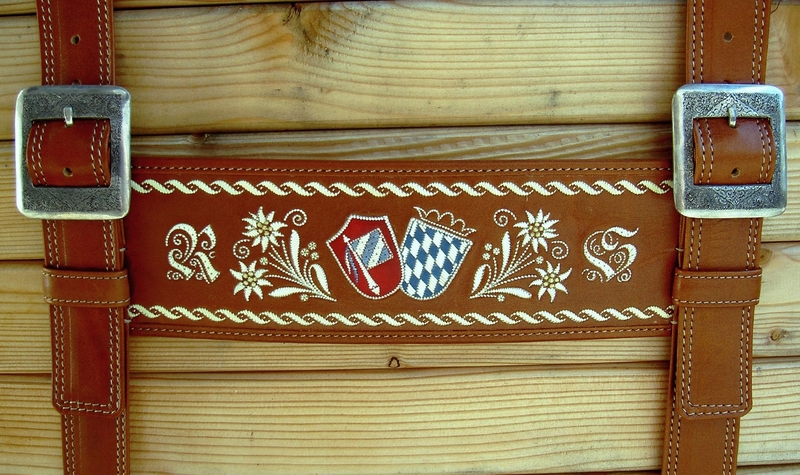 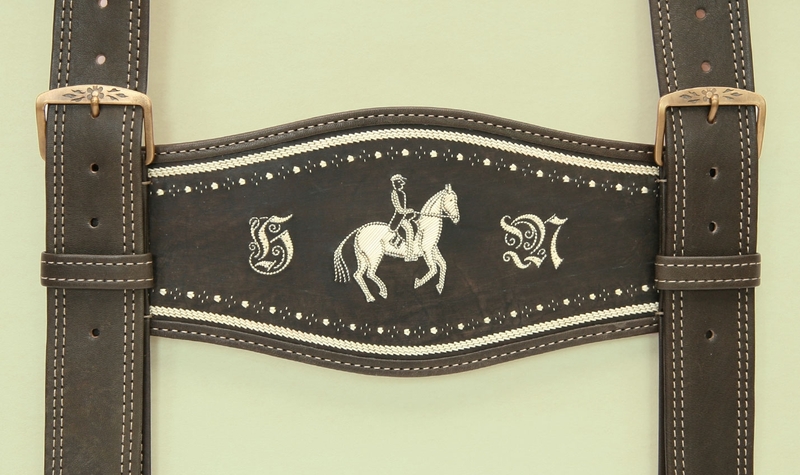 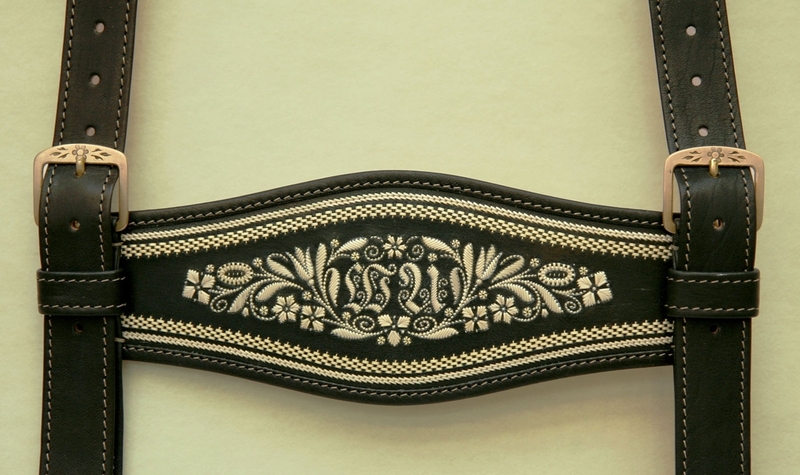 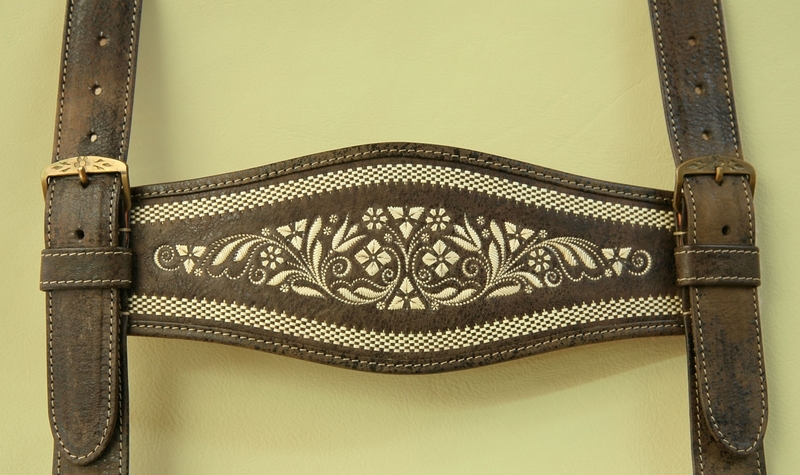 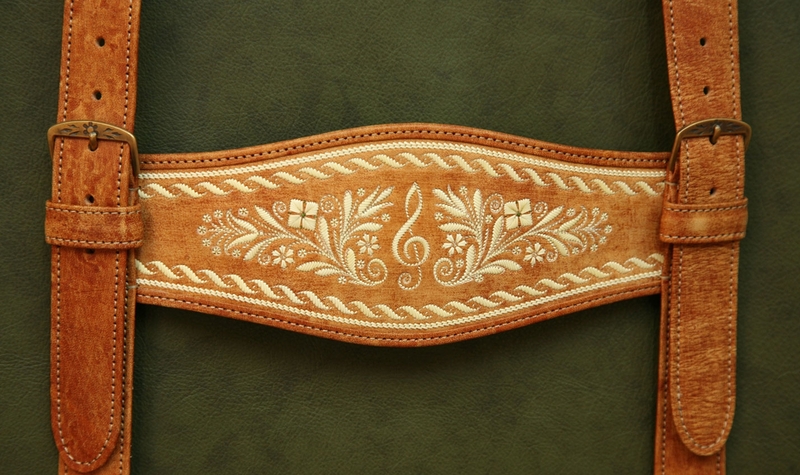 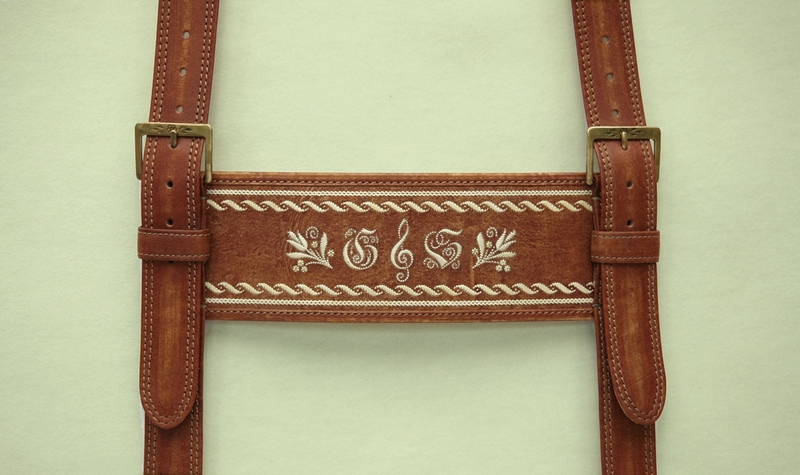 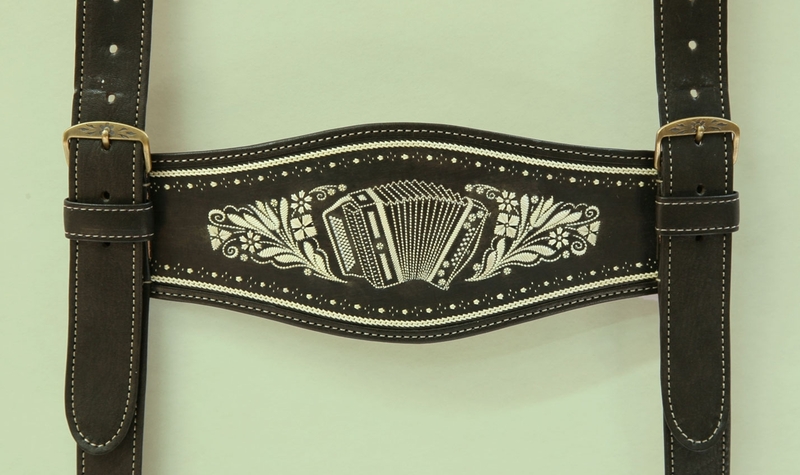 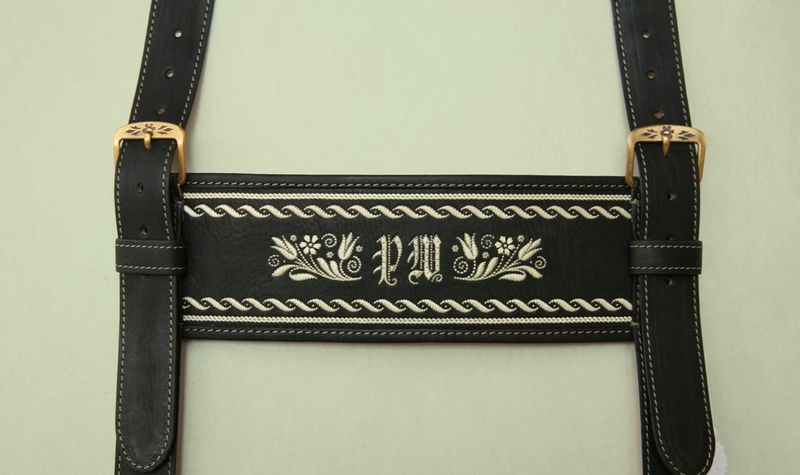 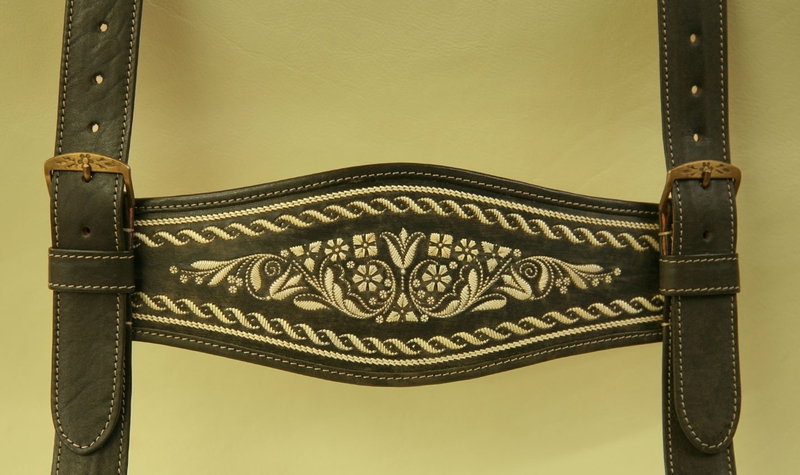 The work displayed on the leather braces is of the highest quality.